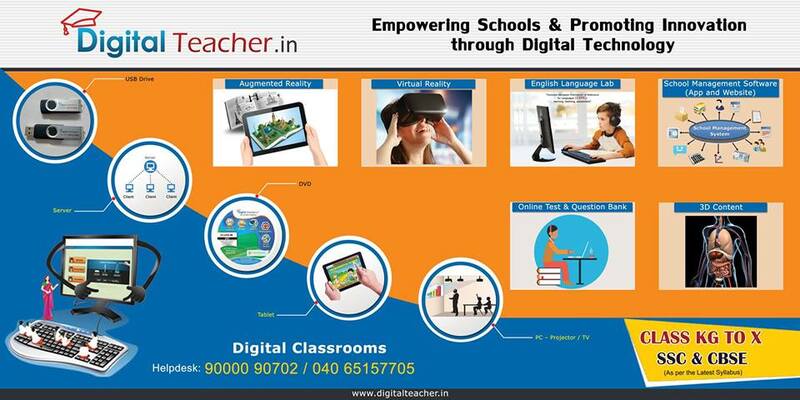 We are providing smart class content consists of HD education content, which is a combination of 3D/2D, interactive content. The content strictly follows the school curriculum and has been designed as per the needs of the Indian students. As a part of Multi-Sensory approach, our content is composed of High Definition 3D/2D modules, which have been tailor-made to student’s requirement. 3D/2D content with its depth perception promotes a better level of understanding in the students. All the topics have been developed through this technology. The content has been prepared by the top educationist from the top institutions of the country. The smart class solution consisting of well instructional designed animated, digital, multimedia content for smart boards as teaching aid for schools delivered through software support for highly effective teaching and student learning experience. It comes with an in-built classroom assessment and evaluation solution along with it. SmartSchool smart class solution is an innovative and comprehensive educational solution for schools, empowers teachers to transform traditional blackboard-and-chalk classrooms into interactive classroom sessions. It is designed to enhance a student’s social and intellectual skills while ensuring an in-depth understanding of the curriculum. 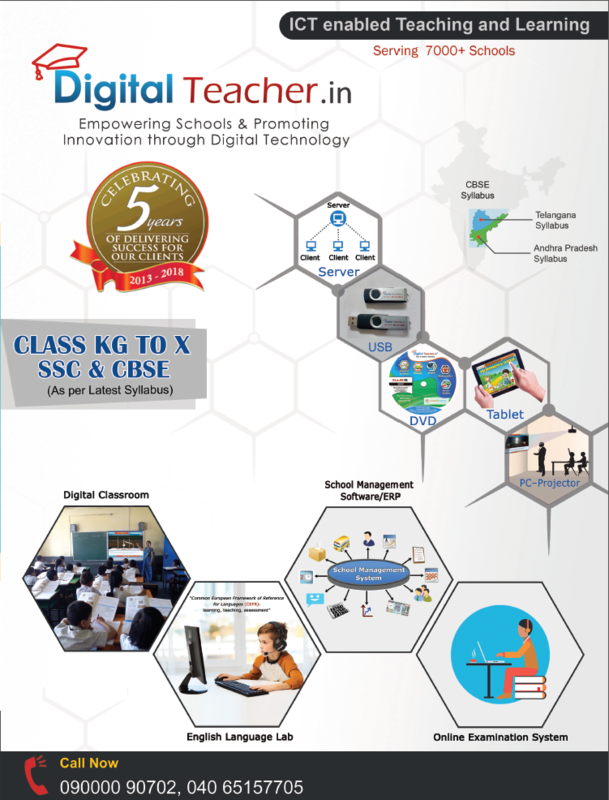 The digital classroom is a complete technology-enabled classroom solution that curriculum reach unfolds from class KG to 12 for both CBSE And STATE syllabus and covering subjects like Mathematics, Science, English, Physics, Chemistry, and Biology. The key to the success of our smart classroom is in the hands of the teacher – it is not dependent on any fancy tools or equipment. However, children are fascinated by technology. They grow up in a world dominated by technology and they likely have cell phones or other mobile devices in their pockets. The wise teacher makes use of technology to enhance the learning experience of their learners. In this way, technology enables an interactive classroom. Over 5000 Likes on Facebook. Thank You!! !